According to the 2016 report Women in Sport: Fuelling a Lifetime of Participation, if a girl has not participated in sport by age 10, she is only 10 percent likely to be physically active as an adult. That’s a sobering figure for parents who hope to see their daughters become healthy, active women after they leave home. Of those girls who play sports in childhood, the same report by the Canadian Association for the Advancement of Women and Sport and Physical Activity (CAAWS) says their overall sport participation drops by 22 percent once they enter adolescence, and their school sport participation drops close to 26 percent. This further diminishes the odds that these girls will become active adults. Research shows that parent role models have a big impact on the physical activity habits of their daughters. Furthermore, female coaching experts have identified practical steps to help girls value physical activity. Here are some tips. 1. Be an active role model for your daughter. Research consistently shows a strong correlation between active parent physical activity levels and those of their children. The effect is particularly pronounced in the preschool and early elementary years, and these physical activity habits tend to hold strong through adolescence if they are established early. In relation to girls’ activity levels, some research has specifically singled out the importance of mothers being active role models for their daughters—not just fathers—though the role modelling effect is always stronger if both parents are active. 2. Seek positive female role models in coaching. If your daughter has the opportunity to be coached by a positive female role model, this can be a big boost to your daughter’s enthusiasm for sport and activity. When girls see women and older girls in leadership and coaching roles, it proves to them that sport and activity are not just for boys, and positive female role models provide an image of someone they might like to emulate. 3. Watch female sports and celebrate female athletes. Similar to above, your daughter may feel greater enthusiasm for participating in sport and activity if she sees women athletes competing at the highest levels, experiencing success, and receiving recognition. Look for opportunities to watch female sporting events with your daughter—at local sporting venues or on television and online. 4. Help your daughter to develop fundamental movement skills. Fundamental movement skills are basic skills related to sport and physical activity such as kicking, running, jumping, catching, and throwing. In an ideal world, every child regardless of gender should be developing these skills from early childhood onwards. If your daughter has a foundation in fundamental skills and physical literacy, she will feel confident enough to try new activities and sports as she moves through life. Just remember to establish a good base of fundamental skills before you try to introduce sport-specific skills. 5. Commit money to supporting your daughter in sport and activity. 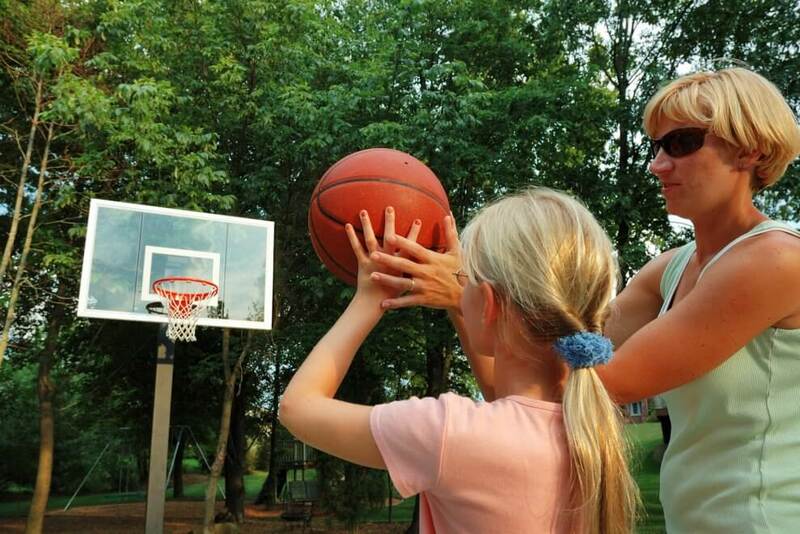 As a parent and as a family, CAAWS suggests making it a priority to dedicate money for your daughter to play sports and explore different physical activities. Whenever possible, take advantage of community sport programs that are free or low-cost. When tax season comes, you can also check into fitness tax credits that may be available. 6. Encourage your daughter to play, coach, and officiate sports and activities. CAAWS also suggests that parents encourage their daughters to play, coach, and even officiate different sports and activities. Coaching and officiating are great ways to deepen your daughter’s understanding of her favorite sport or activity, as well as build leadership and organizational skills. 7. Teach your daughter about non-traditional sports that she might enjoy. We often assume that being active means playing traditional competitive sports such as soccer, basketball, hockey, and tennis. But competitive sports are not for everyone, and there are plenty of non-traditional sports and physical activities that your daughter might enjoy a whole lot more. Make sure your daughter understands that activities such as yoga, rock climbing, dance, hiking, and snowshoeing are all valid and enjoyable forms of physical activity. 8. Help to make your daughter’s sport and activity environment FUN. It is well established that kids’ number one reason for playing sports is having fun. It’s also well known that too many adults take the fun out of sport and activity through inappropriate behaviours such as yelling and coaching from the sidelines when they aren’t the coach. As a parent, you can encourage your daughter to keep playing by helping to create a sport and activity environment that is fun and welcoming for everyone. The current statistics around girls’ participation in physical activity make for some dire reading. However, there are things we can do as parents to improve the numbers. Starting with the steps outlined above, we can help our daughters to experience the physical, social, and psychological benefits of participating in sport and physical activity as children and youth. And by helping to instill a habit for physical activity early in life, we help to increase the odds that they will stay active and healthy into adulthood.